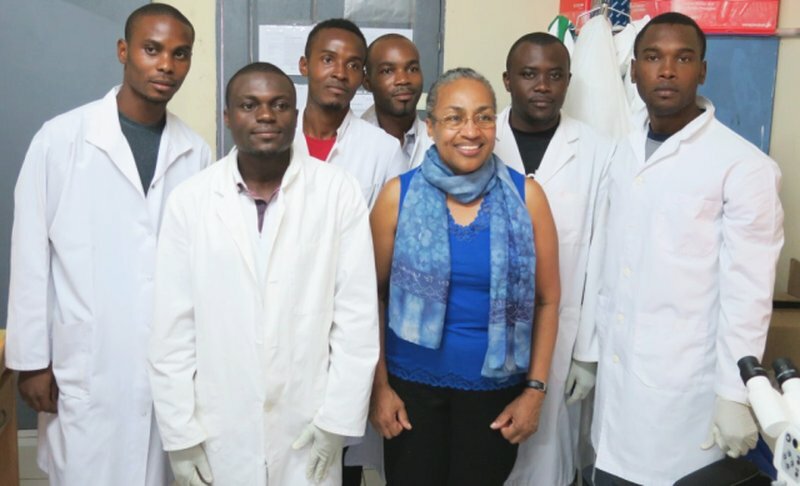 The United States ambassador in Gabon, Her Excellency Cynthia H. AKUETTEH, along with her team, visited our Center for Medical Research in Lambaréné (CERMEL). During the visit, the ambassador had the opportunity to meet with CERMEL directors in order to get an update on recent activities. The Center continues working actively in fundamental and clinical research against tropical diseases, training and capacity-building in the area of health, in Lambaréné as well as in all Gabon. Her Excellency was informed of the research against diseases such as Tuberculosis, Hookworm, Schistosomiasis, Malaria and Dengue Fever. The visit continued with a tour of several laboratories which constitute the Center. In the Tuberculosis laboratory, the American diplomat was informed on efforts concerning preventive and curative treatments against multi-drug resistant tuberculosis. In the Parasitology Lab, Clinical Lab, Microbiology Lab and Researches Lab, staff presented current research projects and the equipment used. After the successful visit, the ambassador continued her tour of the south of Gabon.